This is, in general, the best option for most people who have Competent English. If your level of English is higher than that, one of the other (and less expensive) options below may be more appropriate. The British Council offers IELTS preparation courses in the capital cities of many countries around the world. These courses are very good value because their main focus is on teaching you strategies for passing the test. We strongly recommend that you enroll in one of these courses if you can. They are usually quite short and intensive and not very expensive. You can find details on the British Council web site. An obvious, much more expensive, alternative is to go to an English-speaking country and enrol in an IELTS preparation course there, but unless you're already in an English-speaking country, this is not really a serious option for most people. An option that IS worth serious consideration, especially if you don't live in or near a capital city where you can attend a British Council course, is enrolling in an IELTS preparation course offered on-line. Most of the on-line courses currently available focus on preparing people for the Academic Modules - which is understandable as the big market for IELTS is international students. The only on-line course specifically designed for the General Training Modules is a course offered by Impact Learning New Zealand (ILSNZ), which is based on the work of Patrick Bourne, the author of the IELTS High Impact textbook series. The course gives you tips for getting top results, comprehensive IELTS practice tests for all modules, tests for every section of the course, interactive quizzes and, very importantly, access to a personal tutor. You can enroll for 30 or 90 days access to the course at a cost of US$ 49.95, and US$ 69.95 respectively. If you think that's expensive, consider the cost of failing the test - $280, and consider the total cost of a visa application, the succes of which depends on your IELTS Test score - up to $ 10,000. We think it's not a bad investment! You'll find detailed information on ILSNZ's IELTS Test Online web site. If for one reason or another you are unable to do a course, either in the flesh or on-line, you have to do everything on your own. One way to do so is to buy a set of IELTS Practice textbooks. You can probably buy one in a local bookshop, or you can buy one on the Internet. These days there's a wide choice. The set of textbooks we recommend has been produced by one of the top English Language Centres in Australia, the University of Techology Sydney (UTS) INSEARCH Language Centre. It is based on Insearch's own IELTS Preparation course and consists of 2 books, Listening and Speaking and Reading and Writing, which feature extensive practice activities covering all aspects of the IELTS, including speaking reports, essay questions, writing tasks, sample answers and a sample writing report. If you have to do everything on your own, it's definitely a good idea to buy at least one IELTS Practice textbook, study it in depth and do all the exercises it contains. But this may not be enough if you want to assure success and the very best result. We strongly recommend you also do as many practice exercises on-line as you can find time for, as the saying goes, "practice makes perfect". If you can't find a textbook you like or find the cost too high To be quite frank, this is a pretty absurd argument - if you fail the test because you haven't prepared yourself properly, you will have wasted up to $300!, you will certainly have to use on-line practice materials as a resource. As well as doing a web search on "IELTS" or "IELTS preparation", the obvious place to go is the IELTS web site itself , where you will find a set of free practice exercises, but the scope is very limited. One of the Australian institutions AMES works with, the Holmesglen Institute of TAFE, has an excellent set of IELTS pages with information about the test as well as really useful practice materials for all the modules. 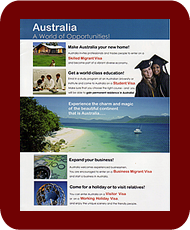 An Australian site worth visiting is Study English - IELTS preparation, This is a series of English language programs for intermediate to advanced learners. The content draws on authentic material that you can watch, read and listen to, plus study notes, tips and activities for practice and consolidation. At some stage during your preparation period, we suggest that you visit the IELTS-blog site, a site which claims to have been set up "to remind you that you’re not alone, to share knowledge and experience and to help each other to improve our English. It hs a lot of useful links and resources. Finally, if you still don't feel confident about doing the test, there is one more thing you could do. It is not an alternative to the options above, but it's complementary to them: you can download a copy of the IELTS Secrets Study Guide, which claims to be an easy-to-use and easy-to-read collection of tips and information, specially selected to give people the best results on the IELTS. It tells you how to use the knowledge you have gained doing all of the above to perform well on the day of the test. The IELTS Secrets Study Guide costs US$ 39.99 and can be downloaded from the Morrison Media web site and offers a 100% no-questions-asked refund guarantee.